This is the fifth set of instructions for teachers participating in RCtv. This email contains important tech instructions required to sign in and participate in RCtv. Please read through to the end of this document carefully and save it for later. Please let us know right away whether your films have arrived, and been tested. If you're thinking about acknowledging your traditional territory before your screening, we can help. If you are screening the film on April 17, please ensure that you plan for it to end at least twenty minutes before the broadcast begins at 12:30 PM Eastern Time. We’ll have a pre-show playing if you sign in early with your access code. 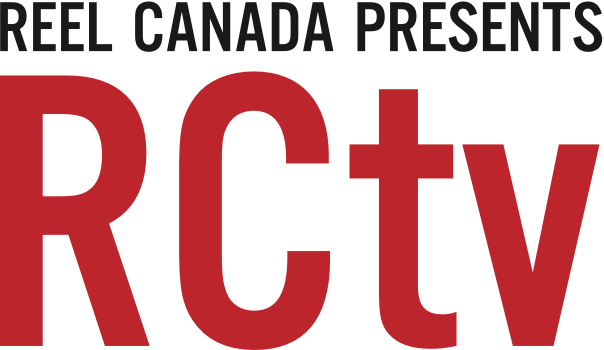 During the 60-minute RCtv broadcast, the stars will be answering as many questions as possible from over 200 schools across Canada. Tweeting questions in advance will increase their chances. Make sure your students use both of these Twitter hashtags in their questions so that we can find them! If you or your students do not have access to Twitter, you can also email contactus@reelcanada.ca with your students’ questions and include their first name, grade, school and province. Again, there is a better chance we’ll answer questions that are submitted in advance — even days in advance! On Tuesday, the day before the webcast, we will be running a loop of videos on the event website all day, from 9:00am EST to 5:00pm EST. Please take five minutes to navigate to the site, and use your Unique Access Code to log in (see below). If you can see video and hear sound on the Main Screen, and see your school name on the page, then you are good to go! The webcast begins at 12:30 pm EST. Please see the exact time in your region. We recommend that you log on at least thirty minutes before the start time, in order to ensure your system is running smoothly before the show begins. Please paste your access code and print this PDF. Post it so all students can see it throughout the broadcast. They’ll each need the code to log in to our competitions. You should also post the Twitter hashtags in the same place. The broadcast will require broadband internet access and a main screen that is connected to the internet. The main screen (projector screen, TV, or Smart Board) should be visible to all students. The webpage should look something like the image on the left. After you log in (by inputting your unique access code), the video screen will change to look like the image on the right. Once you see this, the video should be playing, and you’re good to go! Students should ALSO have access to their phones (or tablets, laptops or desktop computers). They don’t need to download anything to participate, but please have wireless internet available for your students so they can participate in RCtv without using their own data. Students will participate in the broadcast and try to win prizes by answering Canadian film questions and engaging in other online fun. They’ll also be able to see how many points your school has earned in a national leaderboard of more than 200 schools! To sign in, they’ll need the school-specific password, as well as their first name. Please remember to post your school-specific password where it’s visible to students, and have them log in before the show begins. Need Help? If you are having any technical difficulties or need troubleshooting help, please call 1-855-733-5709 ext. 213. Don't forget to take pictures of your event, and of the students using their party kit items. Send them to contactus@reelcanada.ca or better yet, tweet them with #CanFilmDay and #RCtvLive. Next week, we will also send student and teacher feedback forms — please plan a time to complete these with your class. ☑ Book the date and time to watch the film any time before the broadcast! ☑ Announce our guests to your school! ☐ Go to event.rctvlive.ca on the day before the webcast to test the tech on your end! ☐ Log in to the webcast on April 17th, and have a happy National Canadian Film Day!